I’ll admit, in between working and training, I’ve been a little AWOL on the blog at the moment. 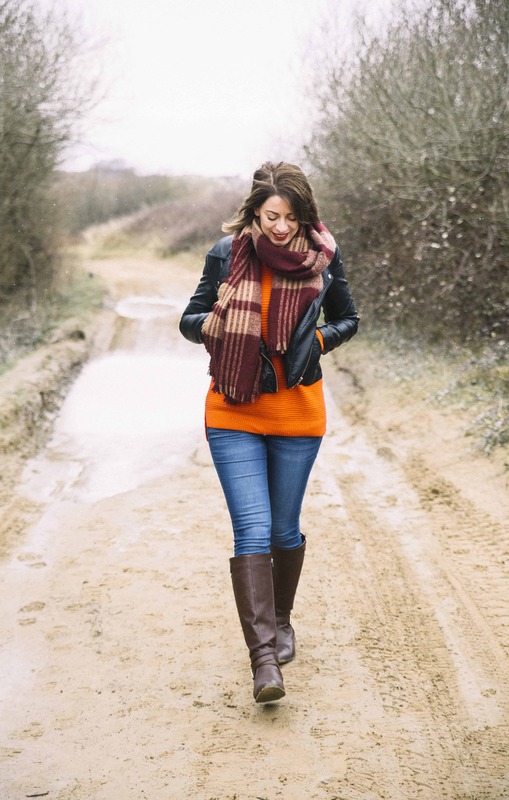 I honestly feel like life has been whizzing past me at the speed of light – I can’t believe it’s nearly April, I feel like we’ve only just begun February! Is anyone else finding this happening this year? I’m pleased to report, apart from a slight dip for a few weeks due to a back injury (not caused by training, I hasten to add) I’m still going strong with training and eating healthily. Since I started, I’ve dropped from 24% body fat to 18% (and counting), and I’m feeling amazing! 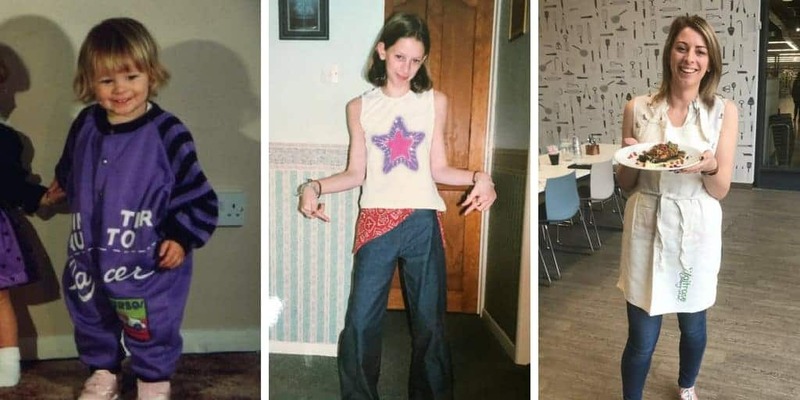 I was always the kid at school who hated PE – I’d be constantly trying to get out of it, I couldn’t catch a ball to save my life and just the idea of running made me physically sick. Luckily (I guess) due to my thyorid problems and coeliac disease, I’ve always been blessed with being fairly slim. But looks aren’t what they seem – even walking up a flight of stairs would leave me out of a breath and I couldn’t even do a press up on my knees. About a month ago I really upped my training with PT Steve Sanger, and this week I feel like I am starting to transform. We’ve been doing a couple of weights sessions a week, and I’ve also been doing his high intensity interval training (HIIT) twice weekly. I feel like I have suddenly become addicted to exercise…I’ve gone from someone who dreaded the idea of moving from the sofa to clock-watching at work until I can go training. 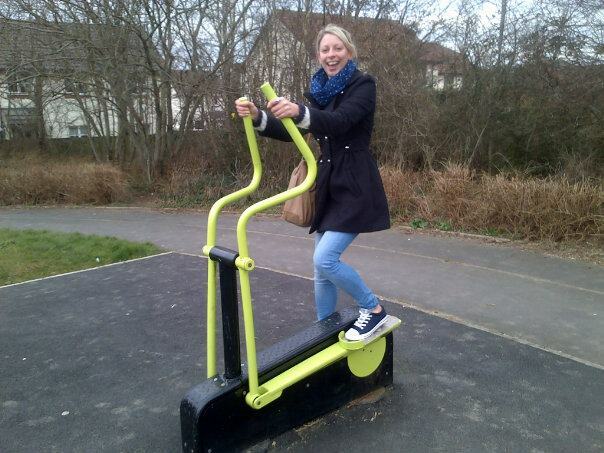 So addicted to exercise I’ll find a gym ANYWHERE! This week, I managed to deadlift my own body weight and the pride I felt was amazing – my limbs all feel so much more toned and I am so much stronger! I never started training to be ‘skinny’, I wanted to be strong and feel healthy. I’ve spent all my life suffering from the fatigue and other horrible symptoms of an overactive thryoid and coeliac disease. When I had my thyroid taken out in Dec 2010, I thought I’d feel immediately better….but I didn’t. But now through eating healthy foods and regularly training, I feel as if I am finally ‘beating’ my demons. I’ll never be able to cure my coeliac disease or put my thyroid ‘back in’, but I sure as hell am not going to let it hamper my life any more! 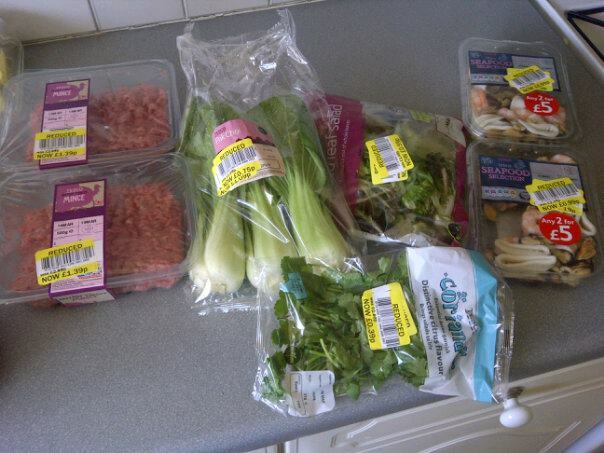 Healthy eating…it’s even better when you can get it all on the cheap! So I’m not doing this as some ego-tistical blog, boasting about my achievements and singing the praises of Steve (although he has been a-mazing! ), I want you to see if you’re suffering from similar problems to me, how much exercise and eating properly is changing my life. Of course, I still have the occassional treat meal, coffee with the girls and cheeky glass of wine every now and again, but I’m really trying hard and now I’ve got the training nailed, I feel like my diet is getting there. I’ve been trying really hard to eat well – regular meals (basically meat and veg, of some form) and doing it as cheaply as possible. As a coeliac, I get fed up of how expensive ‘free from’ foods are, and I’d rather spend my money on fresh veg and meat than processed crap my body doesn’t need. I often base my meals on what I can find in the reduced section – and if there’s a load of meat going cheap I’ll make stuff in bulk then freeze it for lunches. And of course, everyone needs the odd treat…. 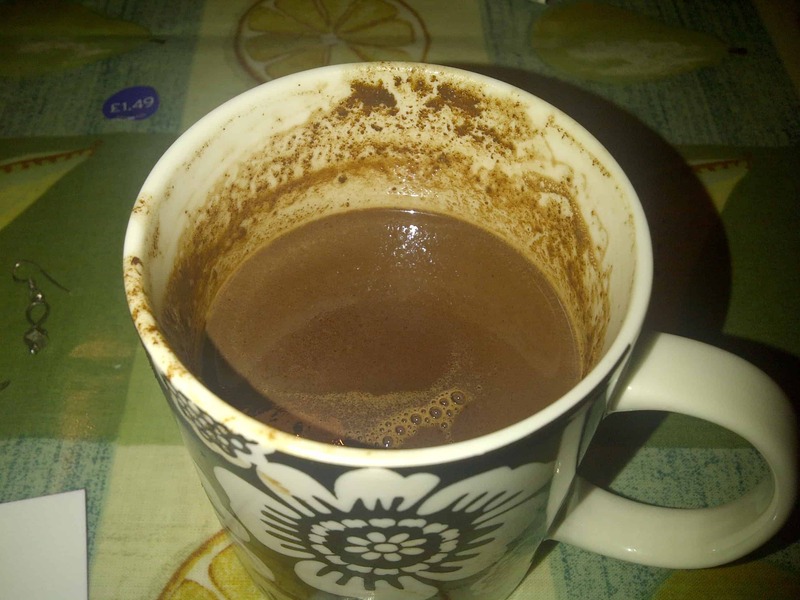 Hot chocolate – because everyone needs a break sometimes! I was having a real chocolate craving the other day, so I ended up melting dark chocolate and cinnamon into hot milk….welll…..no one is perfect, eh!? Are you still keeping up your New Year’s resolutions? How are they going? Have you found exercise has helped symptoms of an overactive thyroid and/or coeliac disease? Previous Post Gluten free porridge, pasta and ‘slim rice’ preview! Next Post A gluten free Easter with Melchior handmade posh chocolates!